The 2018 Art in Bloom was the most successful to date, with more than 18,700 people attending the four days of floral exhibitions and sold-out events. It may not feel like spring outside, but the North Carolina Museum of Art invites you to step inside for its fifth annual celebration of the beauty of nature — Art in Bloom. The four-day festival starts today, March 21, and continues through Sunday, March 24, with lectures, demonstrations, bouquet tours, and daily trunk shows in the museum store. 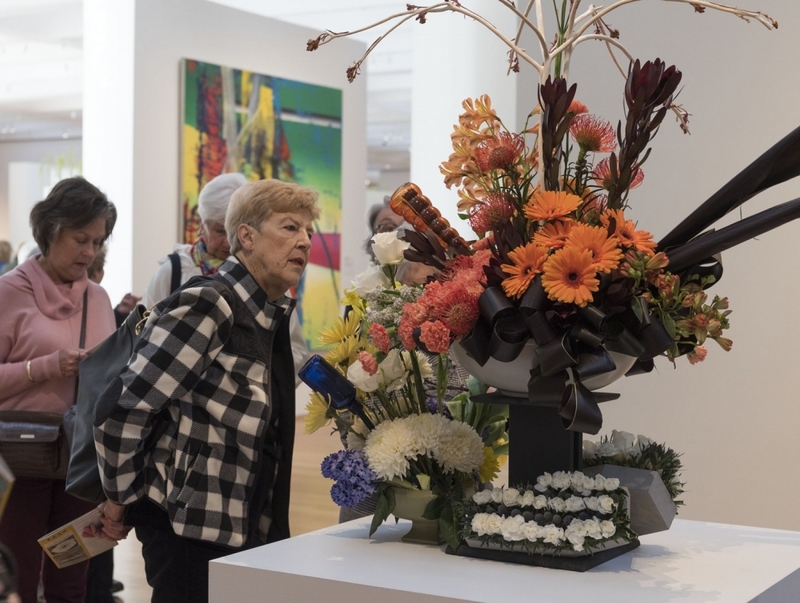 More than 50 floral designers created artful installations, 48 of which are based on artwork in the NCMA’s collection and five are free-form creations. This year’s guest designer is Holly Heider Chapple, who operates the Virginia-based Hope Flower Farm. Chapple founded her floral design business more than 25 years ago, and she is known for full and lush creations that she provides to weddings and events in the Washington, D.C., market. Dubbed the “Flower Mama,” Chapple will give a floral demonstration at the museum at 2 p.m. Friday. Work by North Carolina artists, including Apex-based painter Monica Linares, will be highlighted in the museum store. 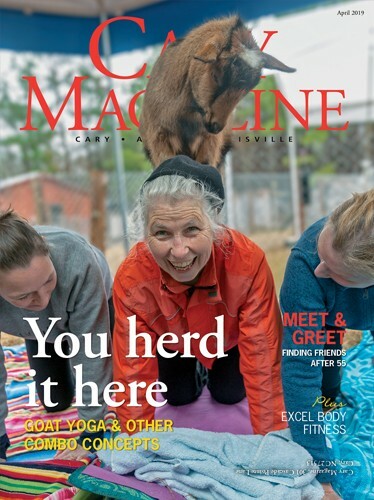 Other featured artisans are jeweler Susan Devine, confectioner Terry McManus, and beekeeper Leigh-Kathryn Bonner. Proceeds from Art in Bloom support the NCMA foundation, programming and exhibitions. Last year’s fundraiser was the museum’s most successful, with more than 18,700 people viewing the exhibition or attending events. Art in Bloom continues through Sunday, March 24. Tickets are $13 for museum members, $18 for nonmembers and free for children 6 and younger. Tickets are required for admission to the permanent collection in the museum’s West Building, and related events are ticketed separately. Tickets are available at ncartmuseum.org/bloom or by calling (919) 715-5923.